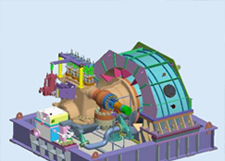 Our unparalleled experience and knowledge in the steam turbine sector allows us to offer comprehensive refurbishment for turbines up to 300MW, regardless of age or model. After conducting a rigorous inspection and assessment of the condition of the turbine (often incorporating metallurgical testing to expose wear and tear of the apparatus), our team will be able to recommend a strategy for refurbishment and implement it quickly and effectively. In fact, because of our access to high-performance manufacturing tools and our network of experienced and dedicated engineers, we are able to reduce expenses incurred due to downtime and breakdowns. Meanwhile, our research and development (R&D) team, which is comprised of 100 experienced personnel, is well-placed to handle all specifications and requirements, regardless of the circumstances. 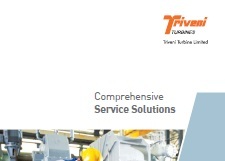 Triveni’s refurbishment services are a cost-effective alternative to replacing machinery with new units and can improve reliability, increase efficiency and reduce operational expenses in the long run.